Alumni are the bricks and mortar of our college. The generations of students who have attended SUNY Adirondack since its founding in 1961 paved the way for the innovative direction the campus is headed. Our alumni have successfully built a 21st century learning institution that is a stimulus for economic development, partnerships and leadership. Explore the new SUNY Adirondack. SUNY Adirondack’s Wilton Center offers higher education and workforce development support to the growing economic center of Saratoga County. Offering the college’s full breadth of courses, services and support, the Wilton Center has increased its enrollment more than 80 percent in the last five years. Both day and evening course programs are available. The Office of Continuing Education offers non-credit courses for students ages 7 to 97, truly creating endless possibilities for learning. From business and computer training to youth programming, our classes are ideal for people looking to develop career skills or grow through personal enrichment. Take a class at our Queensbury campus, Wilton Center, online, off-campus or at your own location. Come out to support the Timberwolves at a variety of sporting events, both on and off campus. 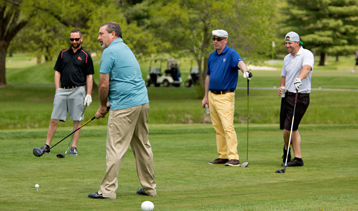 Men’s sports include soccer, basketball, baseball, cross-country running, bowling, golf and tennis. Women’s sports include women’s volleyball, basketball, softball, cross-country running, bowling, golf, tennis and soccer. SUNY Adirondack offers innovative team-building opportunities at our Queensbury campus Adventure Sports facility. Area organizations with participants of any age are invited to contact us to develop team-building exercises using the expertise of our Adventure Sports staff, who will incorporate a variety of elements on our ropes course, zipline and other apparatus to meet your needs. Our challenge course is designed for a “challenge by choice” team-building experience. 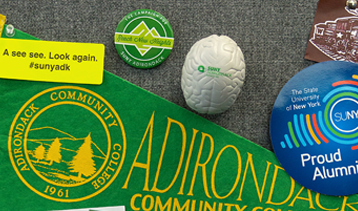 You don’t have to be pursuing a degree to take a credited class at SUNY Adirondack. With hundreds of courses to choose from, you can find the perfect subject for self-enrichment or to expand your career knowledge. You might even get inspired to get a second degree! Look around the hallways, library and offices on campus, and you will find artistic inspiration. The SUNY Adirondack Art Collection began in 1999 with a gift of 150 pieces from the estate of poet William Bronk of Hudson Falls and now has more than 1,000 works of art by more than 300 local, national and international artists. The Visual Arts Gallery, located in Dearlove Hall since 1984, schedules a variety of exhibitions throughout the year that emphasize creativity, vision and imagination Included are group and solo shows by artists of local, national and international reputation. SUNY Adirondack’s Theatre and Music programs offer rich and diverse programming unexpected at a community college. The Theatre department is known for its professional-level productions of bold and innovative plays. Past productions have included D.W. Gregory’s “Radium Girls,” a true story of the women factory workers who fell ill from exposure to radioactive paint, and Moises Kaufman’s “The Laramie Project: Ten Years Later,” a drama tracking the hate crime murder of openly gay student Matthew Shepard. Catch musical performances each semester by the college’s talented faculty and staff, including vocal concerts, instrumental recitals and jazz sessions. At select times throughout the year, the public is invited for lunch and dinner service at the SUNY Adirondack Culinary Arts Center. Students from the Culinary Arts program plan, prepare and serve the gourmet meals to learn about the restaurant industry from the inside. Visit our library in the Scoville Learning Center. Community residents can get a Community Borrower Card at the Circulation Desk. You just need to show a photo ID with a local address. The Hill Collection, located in Scoville Learning Center, contains 1,600 local history books and items from the mid-18th century to the present, donated by the W.H. Hill family. Items may be used for research in the library. A historian is available by appointment for assistance. With a Veterans Resource Center right on campus, SUNY Adirondack supports America’s military heroes with valuable services for college success and beyond. In addition to helping veterans navigate college admissions and financial aid, our veterans benefits advisor works with local community members. All military veterans are welcome. SUNY Adirondack supports and collaborates with area businesses to fulfill employment, internship and volunteer needs through our College Central portal. By managing an online forum available to students, alumni and community residents, we prepare our students for the workforce through a variety of career readiness training and resources. As a college, we strive to provide students with the best education and skills necessary to be successful within the workforce and to assist in building and expanding our local economy. To get an official copy of your transcript, contact the Office of the Registrar. Looking for a job at SUNY Adirondack? See the latest posts for faculty, administrative and staff positions.